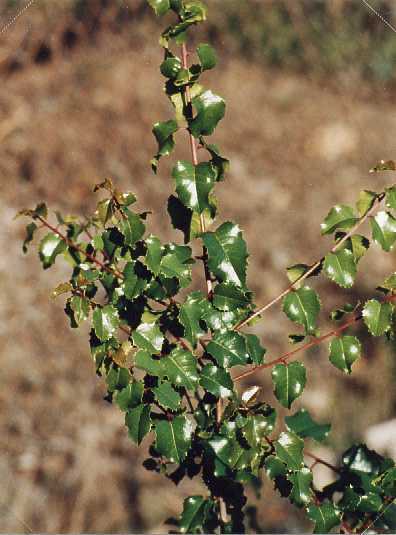 Notes: A native shrub, it has holly-like, spiny leaves. 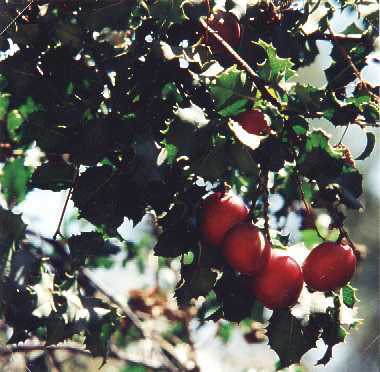 Its bright-red berries are edible, although there is very little pulp around a large seed. It has a counterpart which grows on Catalina Island and is much tastier. Can reach 6 feet.